The design team is now approximately halfway through the Design Development phase. As such we are continuing to develop many aspects of the building. In this post we are sharing three recent renderings of the exterior and interior to highlight the progress. For the exterior we are continuing to refine the design. The roof slope over the multipurpose space has changed from a v-shaped roof to a continuous slope. This simplifies the building envelop, makes detailing and ventilation of the roof more effective, and provides more area for photovoltaic panels. We are hoping to fit all the required PV panels onto this roof surface. 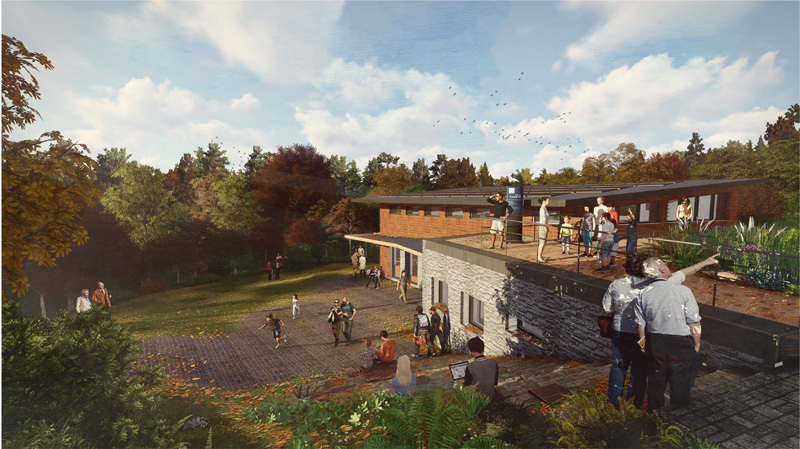 The exterior is still predominately clad in wood and stone, though the details have developed somewhat since the end of Schematic Design. We have continued to refine our daylighting strategies which are reflected in the current arrangement of windows, sun shades, and roof overhangs. We are just beginning to refine the design of the interior spaces. 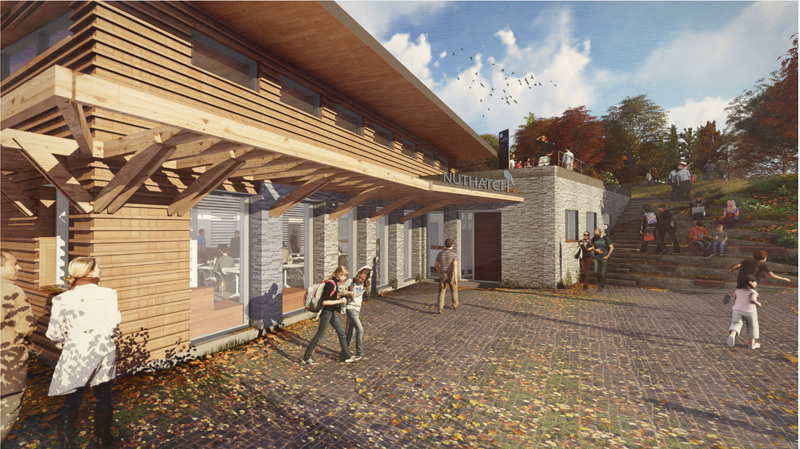 The rendering shows the interior of the multipurpose space. The team is working to incorporate principles of biophilia into the design and incorporate some of the essences of Nuthatch that were articulated at the regenerative design workshop last year. We are also fine-tuning our approach to daylighting and acoustics. In a future post we will do a walkthrough of the interior design elements and explain the concepts and approaches. 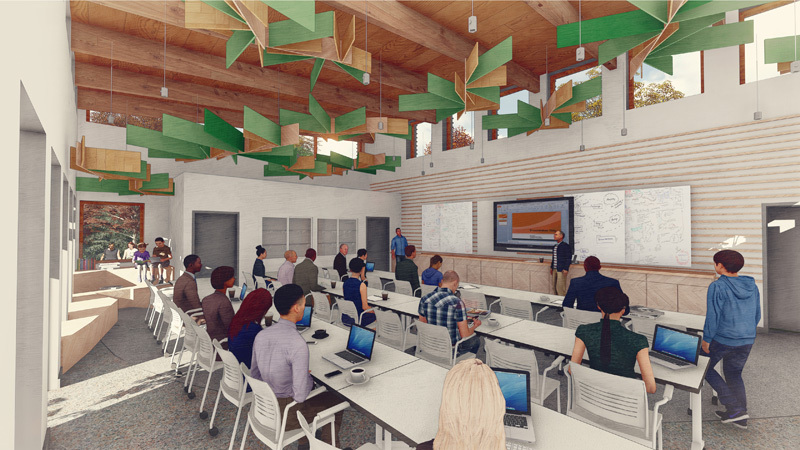 In addition to creating a Living Building, the team is working to incorporate Passive House design principals into the building. This will be a great help in reaching Net-Positive Energy. Our next post(s) will explore this aspect of Nuthatch further.